The Keukenhof has opened its doors! After the warm weather on openingsday, it got rainy and cold again! Very good for the flowers and with some extra warm layers and a weatherproof jacket good for photographing as well. At least we got some beautiful rain drops on the tulips! As you can see on the photos the daffodils and crocus are in bloom inside Keukenhof. In the outdoor area you can find them in bloom around the park. And there is still a lot of green to see. All will be in bloom in the next 8 weeks! Inside the indoor exhibitions you can find a lot of tulips. In the Oranje Nassau pavilion the theme of Holland (with bikes, enormous tulip vase and the I am Flowers sign) and lots of different tulips and daffodils in bloom in the Willem Alexander pavilion. The Juliana pavilion gives lot of information about the tulips. The windmill gives a perfect overview of the flower fields in bloom. Lots of yellow daffodils and some small patches of the early red tulips can be seen. For the next week I expect that the crocus fields are completely gone. temperature of last week was to warm to keep on blooming. With the colder weather and the rain I expect that the daffodils will be in bloom and that more and more hyacinth fields will be visible. The hyacinths can be recognizable by the intens blue/purple colors and the pink color. When you arrive by plane, make sure you will have a window seat! The fields looks very colorful from the air! There are some patches of early red tulips. It is still a bit early for normal tulips but there are some reports that the green of these tulips is already visible (not blooming though). I wish you a wonderful week, have a look at the photos and if you have any questions about the flower fields, visiting Keukenhof, etc. please let me know. Your photos are beautiful. 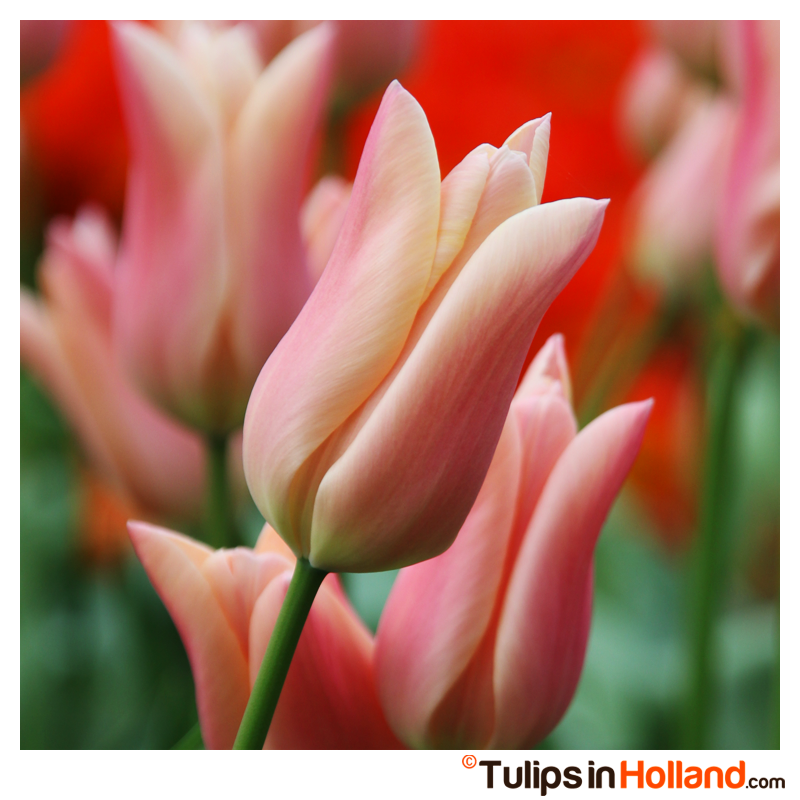 I am visiting Amsterdam this month, are the tulips in bloom yet, from your blog it seems they are not yet, but I can still see them indoors ? Love a reply from you . Visiting Keukenhof is one of our dreams. Thank you! The tulips are in bloom at this moment mainly indoors but due to the warm temperatures I expect to see them in bloom outdoors very soon. If you sign up for our weekly news letter you will get a weekly update of the flowers in bloom. And you will know which flowers are in bloom. If you have any questions please let me know.